Feng Dong, Gordon J. Clapworthy, Hai Lin, and Meleagros A. Krokos. Nonphotorealistic Rendering of Medical Volume Data. IEEE Computer Graphics and Applications, 23(4):44-52, 2003. (pdf) (bibtex: Dong-2003-NRM). Denis Le Bihan, Jean-Francois Mangin, Cyril Poupon, Chris A. Clark, Sabina Pappata, Nicolas Molko, and Hughes Chabrait. 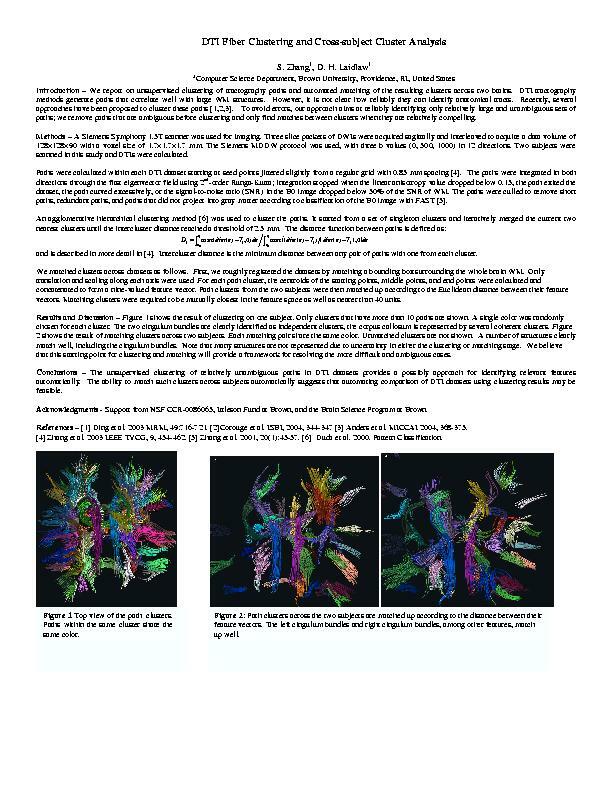 Diffusion Tensor Imaging: Concepts and Applications. 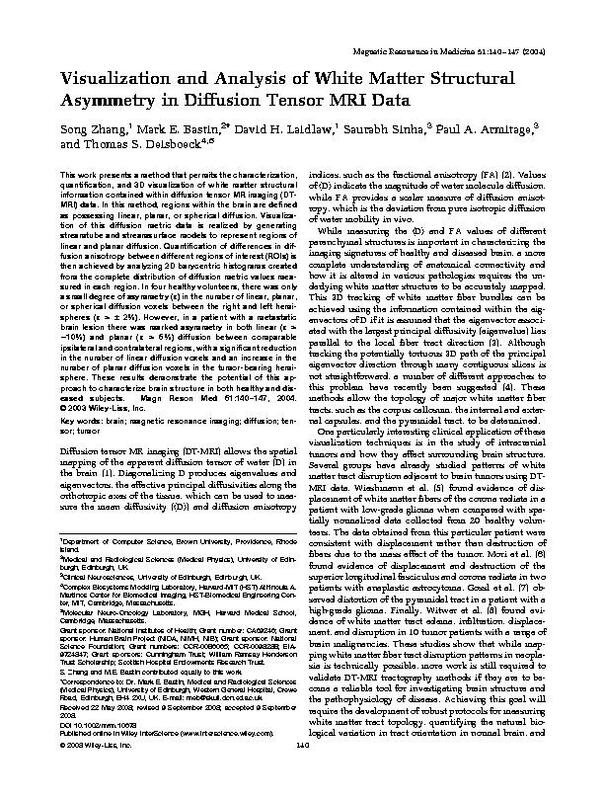 Journal of Magnetic Resonance Imaging, 13:534-546, 2001. (pdf) (bibtex: Bihan-2001-DTI). Christopher G. Healey, V. Interrante, and P. Rheingans. Perceptual Techniques for Scientific Visualization. In Proceedings of SIGGRAPH99: Course 6, pages 1-42, 1999. (pdf) (bibtex: Healey-1999-PTS).